This course focuses on the aspects of SSARS 21 which are relevant for the new preparation service. In October 2014 the Accounting and Review Services Committee of the AICPA issued Statement on Standards for Accounting and Review Services 21 (SSARS 21). This new standard becomes effective for periods ending on or after 12.15.15, with early implementation being an option. SSARS 21 creates a new level of service for CPAs with regards to financial statements. CPAs can now prepare financial statements without a need to evaluate independence, and without reporting. These financial statements can be used by those external to the organization. SSARS 21 also does away with management use only financial statements. This webinar will help you understand what you need to know about the new preparation service under SSARS 21. Identify specific principles applicable to the new preparation service (Section 70). Determine how this standard and technological advancements have resulted in opportunities in marketplace for CPAs. Tonya Brummett is a certified public accountant, licensed in the state of Georgia and a member of the American Institute of CPAs, as well as the Georgia Society of CPAs, and a QuickBooks ProAdvisor. She has over twelve years’ experience, in both public accounting and private industry with clients primarily in the contracting, manufacturing, retail, restaurant, medical and technology industries. 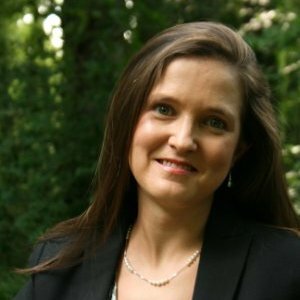 Tonya Brummett is a certified public accountant, licensed in the state of Georgia and a member of the American Institute of CPAs, as well as the Georgia Society of CPAs, and a QuickBooks ProAdvisor. She has over twelve years’ experience, in both public accounting and private industry with clients primarily in the contracting, manufacturing, retail, restaurant, medical and technology industries. Prior to establishing Tonya Brummett, CPA, Tonya worked with Bennett Thrasher, LLP, an Atlanta based full service accounting firm. Tonya joined Bennett Thrasher in 2007. While there she was a manager within the Client Accounting Services department. Duties included managing financial reporting engagements as well as reviewing those engagements to ascertain that Firm and professional standards were met and occasionally assisted with audit engagements. Additionally, Tonya was involved in the training and development of staff.